The Saguins say that everyone is connected, invisible tethers of history, personality, and fate binding us together: past, present and future. Some of these tethers hang slack and dormant. Others stretch across time and space, taut as harp strings. Even the slightest touch can start them singing. This is the music that Jax’s people cannot help but hear, and to which my people are largely deaf. Even so, a note shivered its way up and down my spine when the Captain walked in. She was tall, and younger than I expected, though I knew her history. The rumors say she slept her way into flight school. If that was true, she proved herself in the end, beating out her fellow cadets for a coveted position in the Corps alongside the Adjutant-General. One of only two female pilots, she flew rescue missions during the war, including a famous last-minute run to Verdure before the flames consumed the spaceport. She left the Corps after that, after the fire ended the fighting. On one level, the connection between us was obvious: we both left the green city behind to burn and came to this scorched place for succor. But our paths had never crossed, to the best of my knowledge. I had been only ten years old when we fled; the Captain would have been twenty or more. I looked at Jax, who shrugged. I blinked. “I’m sorry?” I asked, stupid with confusion. This was news to me, but I did not have leisure to contemplate it before the Captain turned her attention to me. I filed it away for later. I stared at her blankly. 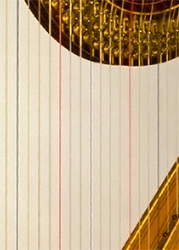 The harp string hummed. This post is part of the Jade Dragon series, follows Blind Luck, and is totally unprompted, as in, not a response to any prompt that I know of. Go figure! This entry was posted in Jade Dragon, Writing and tagged jade dragon. Bookmark the permalink. I’m loving this series. I check in everyday just to see if there is a new installment. You write well; it makes reading enjoyable. Really enjoying reading this series, so glad I found your blog! Thank you, Sean! It has been fun to write so far. this story is addictive – on the edge of my seat waiting for the next installment! I’d better get writing, then… 🙂 Seriously, though, it is so nice to know that this is interesting enough to keep people coming back. Thank you for the confidence booster! This is getting meaty! I’m glad you gave us an unprompted installation; I’m guessing it gives you the chance to take it the direction you want it to go without having to worry about prompt constraints. Unprompted is good. This is good, and good plot things are coming out of it. I love the fantasy, steampunky world-building, you’re a natural at it. Nice! I’m going to have to backtrack and read the rest of these. Whew! That is one kickass interlude. You absolutely needed more than 333 words to tell it, but boy the conclusion over in this week’s trifecta made me DASH over here to find out what came before, what the captain said that she was denying.